ABSTRAK: Penulisan ini berkenan simulasi pengaruh pelbagai nilai indeks modulasi ( ) dalam strategi PWM berasaskan aplikasi dalam menghasilkan bentuk gelombang yang bertingkat. Bentuk gelombang ini diuji untuk aplikasi dalam topologi MMCs. Penilaian dan hasil dari artikle ini termasuk variasi komponen asas (50 Hz) dalam voltan keluar. Ia juga meneliti jumlah penyelarasan harmonik voltan keluar (THDv) dan arus keluaran (THDi) apabila indeks modulasi ditukar dalam rantau modulasi linear, 0 < <1. Ia juga meneroka kesan indeks modulasi lebih daripada 1. Selain itu, bentuk voltan keluar yang berbeza sebagai akibat dari pelbagai pada MMCs juga digambarkan untuk menunjukkan kesan berbeza-beza nilai pada sub-modul MMCs. Leissa AW. (1993) Vibration of Plates, Washington DC: Acoustical Society of America. Chopra AK. (1995) Dynamic of Structures, Theory and Application to Earthquake Engineering, New Jersey: Prentice-Hall, USA. Nayfeh AH. (1973)Perturbation Methods, Jhon Wiley, New York, USA. Elmas N, Boyaci H. (2014) A new perturbation technique in solution of nonlinear differential equations by using variable transformation. Applied Mathematics and Computation, 227:422-427. AzadAK, Hosen MA, RahmanMS. (2012) A perturbation technique to compute initial amplitude and phase for the Krylov-Bogoliubov-Mitropolskii method. Tamkang Journal of Mathematics, 43(4):563-575. BelendezA, BelendezT, HernandezA, GallegoS, OrtunoM,NeippC. (2007) Comments on â€œinvestigation of the properties of the period for the nonlinear oscillator â€. Journal of Sound and Vibration, 303(3-5):925-930. Belendez A, Hernandez A, Belendez T, Neipp C, Marquez M. (2007) Asymptotic representation of the period for the nonlinear oscillator. Journal of Sound and Vibration, 299(1-2):403-408. Marincaa V, Herisanu N. (2010) Determination of periodic solutions for the motion of a particle on a rotating parabola by means of the optimal homotopy asymptotic method. Journal of Sound Vibration, 329(9):1450-1459. Belendez A. (2009) Homotopy perturbation method for a conservative force nonlinear oscillator. Computers & Mathematics with Applications, 58(11-12):2267-2273. Leung AYT, Guo ZJ. (2009) Homotopy perturbation for conservative Helmholt-Duffing oscillator. Journal of Sound and Vibration, 325(1-2):287-296. He JH. (2004) The homotopy perturbation method for nonlinear oscillators with discontinuities. Applied Mathematics and Computation, 151(1):287-292. Suleman M, Wu Q. (2015) Comparative solution of nonlinear quintic cubic oscillator using modified homotopy perturbation method. Advances in Mathematical Physics, Article ID 932905:5. Belendez A, Pascual C, Belendez T, Hernandez A. (2009) Solution for an anti-symmetric quadratic nonlinear oscillator by a modified Heâ€™s homotopy perturbation method. Nonlinear Analysis, 10(1):416-427. Belendez A, Pascual C, OrtunoM, Belendez T, Gallego S. (2009) Application of a modified Heâ€™s homotopy perturbation method to obtain higher-order approximations to a nonlinear oscillator with discontinuities. Nonlinear analysis, 10(2):601-610. Ganji SS, Ganji DD, Karimpour S, Babazadeh H. (2009) Applications of a modified he's homotopy perturbation method to obtain second-order approximations of the coupled two-degree-of-freedom systems. International Journal of Nonlinear Sciences and Numerical Simulation, 10(3):303-312. Ozis T, YildirimA. (2007) Determination of periodic solution for a force by Heâ€™s modified Lindstedt-Poincare method. Journal of Sound Vibration, 301(1-2):415-419. Razzak MA, AlamMZ, Sharif MN. (2018) Modified multiple time scale method for solving strongly nonlinear damped forced vibration systems. Results in Physics, 8:231-238. Azami R, Ganji DD, Babazadeh H, Dvavodi AG, Ganji SS. (2009) Heâ€™s Max-Min method for the relativistic oscillator and high order Duffing equation. International Journal of Modern Physics B, 23(32):5915-5927. Alex EZ, RodrÃ­guez CA, Romero OM. (2012) Application of the elliptic balance method to a nonlinear singular oscillator. Applied Mathematics and Computation, 218(22):11112-11117. Akbari M, Ganji DD, Ahmadi A, Kachapi SHH. (2014) Analyzing the nonlinear vibrational wave differential equation for the simplified model of tower cranes by algebraic method. Frontiers of Mechanical Engineering, 9(1):58-70. Huseyin T, Murat S. (2018) A local differential transform approach for the cubic nonlinear Duffing oscillator with damping term. Scientia Iranica, Available Online from 20 January. Younesian D, Askari H, Saadatnia Z, Yazdi MK. (2010) Frequency analysis of strongly nonlinear generalized Duffing oscillators using Heâ€™s frequency-amplitude formulation and Heâ€™s energy balance method. Computers & Mathematics with Applications, 59(9):3222-3228. Razzak MA. (2017) A simple new iterative method for solving strongly nonlinear oscillator systems having a rational and an irrational force. 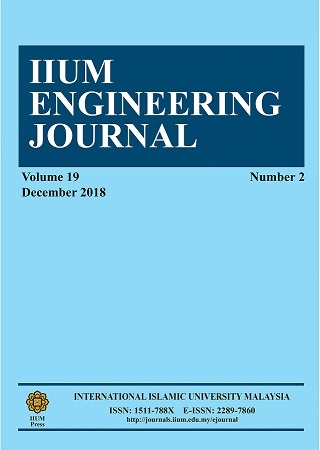 Alexandria Engineering Journal, In press. Yildirim A, Askari H, Yazdi MK, Khan Y. (2012) A relationship between three analytical approaches to nonlinear problems. Applied Mathematics Letter, 25(11):1729-1733. Razzak MA,RahmanMM. (2015) Application of new novel energy balance method to strongly nonlinear oscillator system. Results in Physics, 5:304-308. Molla MHU, Alam MS. (2017) Higher accuracy analytical approximations to nonlinear oscillators with discontinuity by energy balance method. Results in Physics, 7:2104-2110. Askari H, Saadatnia Z, Esmailzadeh E, Younesian D. (2014) Multi-frequency excitation of stiffened triangular plates for large amplitude oscillations. Journal of Sound and Vibration, 333(22):5817-5835. Younesian D, Askari H, Saadatnia Z, Yazdi MK. (2012) Analytical approximate solutions for the generalized nonlinear oscillator. Applicable Analysis, 91(5):965-977. Hosen MA, Chowdhury MSH, Ali MY, Ismail AF. (2017) An analytical approximation technique for the duffing oscillator based on the energy balance method. Italian Journal of Pure and Applied Mathematics, 37:455-466. Yamgoue SB, Bogning JR, Jiotsa AK, Kofane TC. (2010) Rational harmonic balance-based approximate solutions to nonlinear single-degree-of-freedom oscillator equations. PhysicaScripta, 81:035003. Beatty J, Mickens RE. (2005) A qualitative study of the solution to the differential equation . Journal of Sound and Vibration, 283:475-477. Mickens RE. (2006) Investigation of the properties of the period for the nonlinear oscillator . Journal of Sound and Vibration, 292(3-5):1031-1035. Mickens RE. (1986) A generalization of the method of harmonic balance. Journal of Sound and Vibration, 111:515-518. Hosen MA, Chowdhury MSH. (2015) A new analytical technique based on harmonic balance method to determine approximate periods for Duffing-harmonic oscillator. Alexandria Engineering Journal, 54(2):233-239. Hosen MA. (2014) Approximate solutions of the equation of motion's of the rigid rod which rocks on the circular surface without slipping. Ain Shams Engineering Journal, 5(3):895-899. Hu H. (2006) Solution of a quadratic nonlinear oscillator by the method of harmonic balance. Journal of Sound and Vibration, 293(1-2):462-468. Chowdhury MSH, Hosen MA, Ahmad K, Ali MY, Ismail AF. (2017) High-order approximate solutions of strongly nonlinear cubic-quintic Duffing oscillator based on the harmonic balance method. Results in Physics, 7:3962-3967. Hosen MA, Chowdhury MSH. (2015) A new reliable analytical solution for strongly nonlinear oscillator with cubic and harmonic restoring force. Results in Physics, 5:111-114.